Please note that the actual cover of the cruise book really bears the incorrect designation "AR 25" instead of "AE 25". 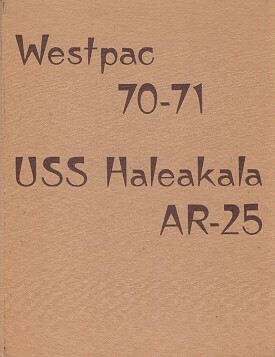 Back to last Page Back to Cruise Book Page Back to USS Haleakala Page. Back to 1st Page.